Once again, we are offering our Wall Street Scripophily Calendar with each month featuring a unique certificate in full color. This is a perfect gift for customers, employees, friends, collectors, students and everyone else. The actual size of the calendar is 8 1/2″ x 11″ ( perfect size for mailing ) with 28 color print pages including the cover. Months include December 2009 to December 2010. Quantity Pricing – Call 703-787-3552 to order quantities. September 18, 2009 in Old Stock Research Service – OldCompany.com, Scripophily - Collecting Stock Certificates, stock research. Stock and bond certificates, to most people, represent a measure of financial investment in a company. The kinds of stocks and bonds I deal with represent insight into financial history. People like me who buy them are scripophilists, collectors of historical stock and bond certificates. September 1, 2009 in Old Stock Research Service – OldCompany.com, Scripophily - Collecting Stock Certificates, stock research. Order you 2010 Stock Calendar from Scripophily.com. August 25, 2009 in Old Stock Research Service – OldCompany.com, Scripophily - Collecting Stock Certificates, stock research. 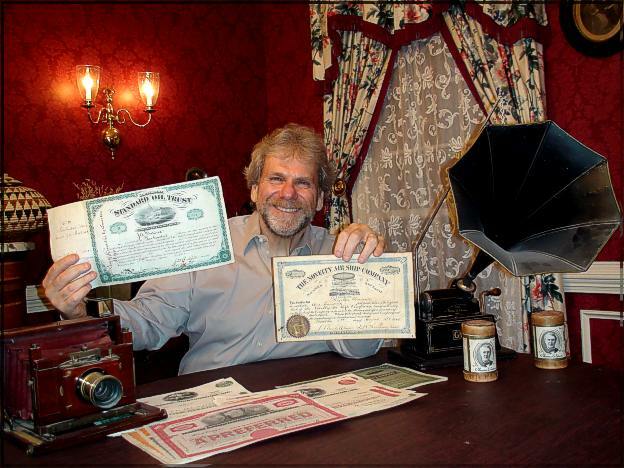 August 20, 2009 in Old Stock Research Service – OldCompany.com, Scripophily - Collecting Stock Certificates, stock research. 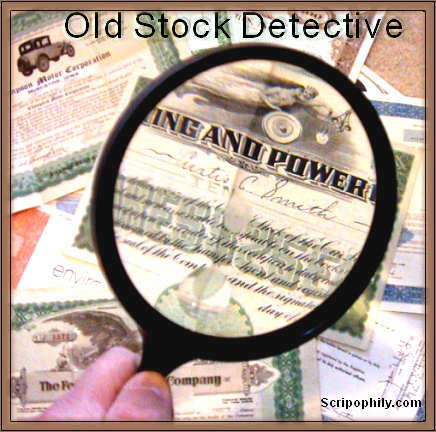 July 30, 2009 in Old Stock Research Service – OldCompany.com, Scripophily - Collecting Stock Certificates, stock research.